I’m torn. And I mean, really torn. My head wants to write about the wonderful experience I had last week, telling the world how fantastic it was to run in the African bush with wild game and to see, feel, taste and smell true southern African bush veld. But my heart wants selfishly to keep it secret, sharing it only with those closest to me for fear of word spreading and hundreds of humans flocking to spoil forever a special corner of beautiful, unspoilt Africa. 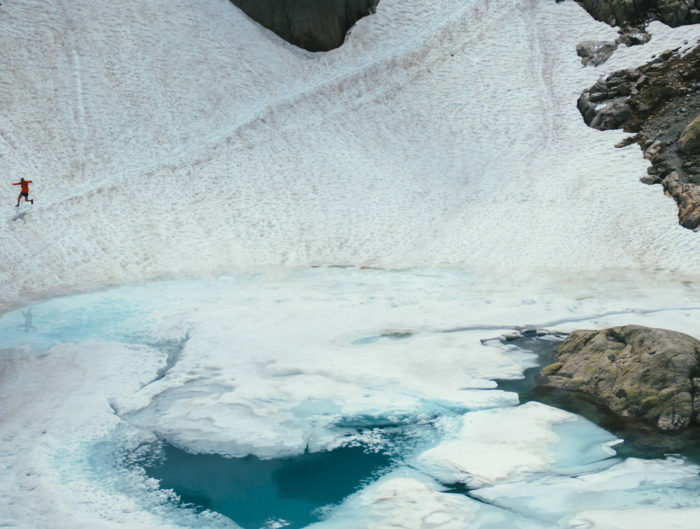 I’m going with my head this time, trusting that the folk who’ll be reading this blog aren’t like the average tourist out there who has little respect for nature. 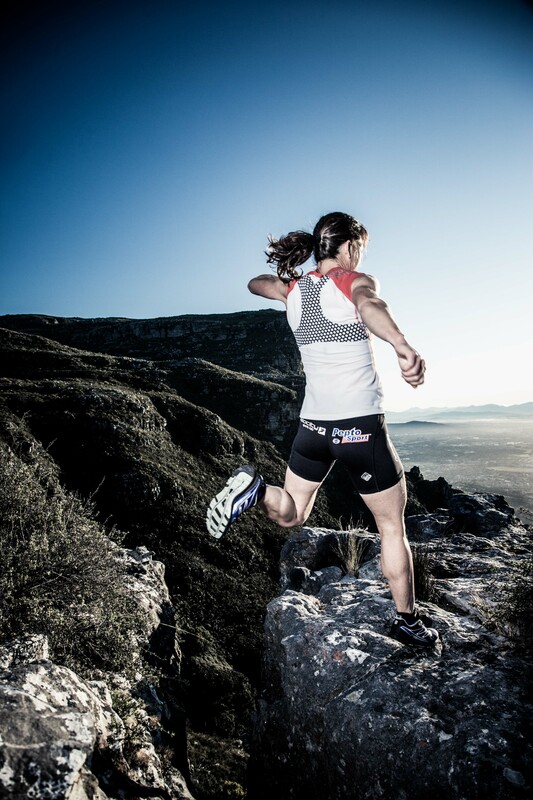 Trail runners are different, thankfully – most of us hold the environment close to our heart, and protect it in every way we can. So let this post be a secret shared amongst ourselves, protected from the world out there, and closely guarded amongst those who respect and treasure the natural world. I love the African bush. I love everything about it – from the twitter of the first bird before the dawn dances its gentle morning light across the horizon, to the deep golden hue of the after-glow in the evening sky; from the deep-throated hollow roar of a distant lion, to the thundering hooves of a herd of wildebeest as they charge across the open veld; from the lonely cry of the fish eagle circling overhead, to the gentle scraping sound of a black mamba as it stealthily slithers between two rocks and out of view. I love the vastness of the horizon, the hugeness of the moon, the blanket of stars brilliant against the night sky, the ancient trees that have seen generations pass beneath them. I love the smell of the rain on the baked earth, and the way the air is alive with energy before an African storm. All this is what real, unspoilt Africa is about. Imagine blending all of this with trail running. Imagine running with elephants, kudu, wildebeest, eland, impala, klipspringer and giraffe, being woken up in the night by the grunts of a hippo in the river near your tent, and standing under a gigantic baobab tree that’s more than 2 000 years old. Imagine. All this was part of what I experienced last week, shared with 75 other lovers of trail running, on the Mapungubwe Transfrontier Wildrun. And I’ve spent the whole of this week barely able to concentrate, my mind constantly drifting back to the banks of the great, grey-green greasy Limpopo River, all set about with fever trees (so perfectly described by Rudyard Kipling in one of my favourite childhood stories, The Elephant’s Child), wishing I was back there. The Mapungubwe Transfrontier Wildrun, brainchild of Wildrunner and Boundless Southern Africa, marries untamed Africa with trail running, in a three-day stage event that covers 93km through the Limpopo-Shashe basin in the Greater Mapungubwe Transfrontier Conservation Area that connects Zimbabwe, Botswana and South Africa. It’s not a race, but a run. There are no placings, no positions, no podiums – this is not about speed, but about the experience. Let’s face it, in Africa no one can just go racing into the wild bush yonder, it would be irresponsible, if not suicidal, so staging a race there would be impossible. 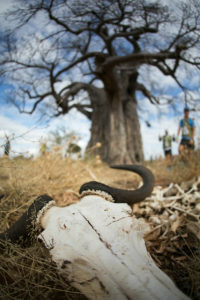 In the Mapungubwe Transfrontier Wildrun, runners choose the group they’d be comfortable in – faster pace, medium or slower. Each group is led by a (very fit) qualified game ranger, and safety is the highest priority. It crosses the borders of three countries, requiring all the relevant documentation, visas and passport-stamping by customs officials – everything specially organised for the runners on the banks of the rivers that border each country. It takes one hell of a lot of planning, paperwork and preparation to coordinate such diplomatic and logistical permissions for undesignated border crossings on foot in deepest darkest Africa, and it shows just how much needs to be prepared in advance behind the scenes before an event like this can happen. You’re in the best hands. 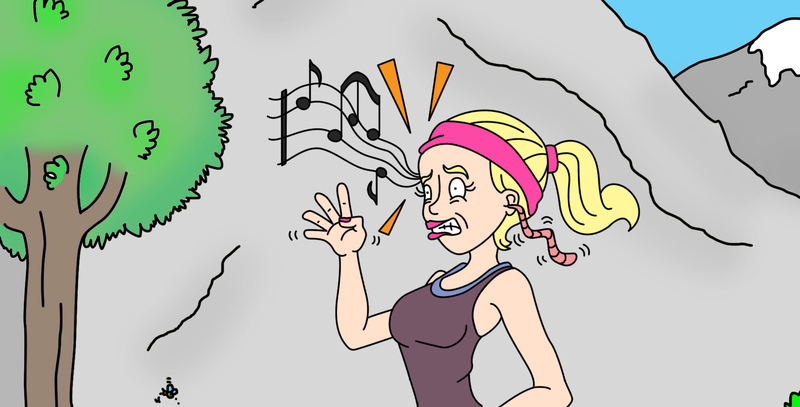 Like all Wildrunner’s events, everything is carefully thought through to the finest detail. Participants enjoy five-star bush treatment, from several delicious refreshment stops along each day’s route (tea, coffee, hot chocolate, biscuits, biltong, potatoes, jelly babies… not forgetting the mini peanut butter pitas, bubbly and freshly-made wraps on the wooden deck overlooking the confluence of the Shashe and Limpopo rivers), to hot showers and even a gin bar, set on a koppie above camp and overlooking the setting sun. All this, yet more than 160km away from even the nearest spaza shop. It’s impressive stuff! 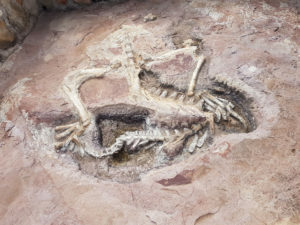 Standing next to the mineralised fossil of a dinosaur, Massospondylus carinatus owen, which roamed the ancient supercontinent of Gondwanaland some 210 million years ago during the early Jurassic period. That’s a whole 65 million years before brachiosaurus stomped the earth! The non-competition: we ran an average of 30km a day, each group at its own comfortable pace, stopwatches and pace-markers the furthest things from our minds. It was about being out there, together, immersed in untouched Africa, running on tracks that might well been trodden for eons by the ancestors of those living there today. 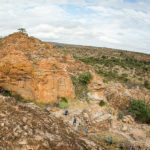 Climbing the Mapungubwe Hill onto the citadel of an ancient African kingdom that dates back to the 13th century, preceding that of Great Zimbabwe. 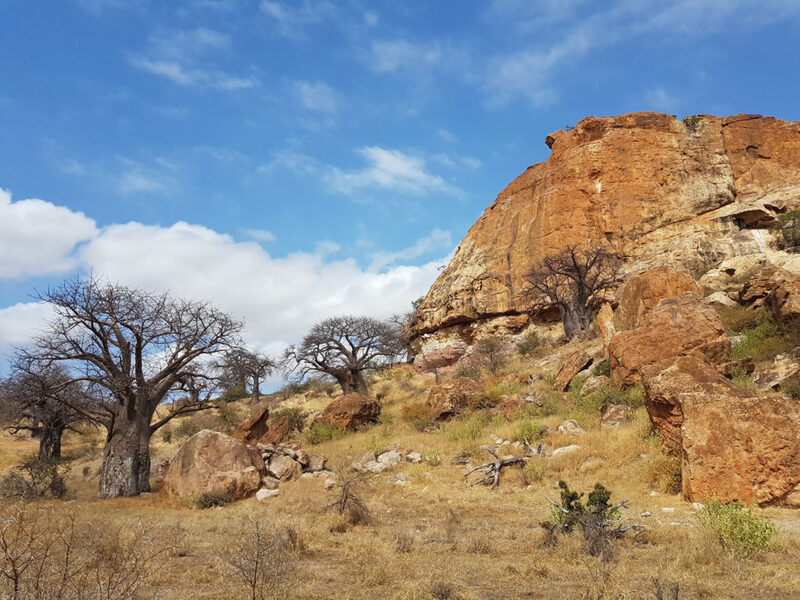 Mapungubwe is a World Heritage Site, home to the famous gold-coated rhino that was a symbol of the power of the king of the Mapungubwe people. We then ran along the valley below the citadel, where more age-old baobabs than I could count stood guard, silent in their stature, ever-watching as they’ve done for more than a thousand years. Those baobabs have witnessed a civilisation rise and fall, they’ve shared every season for a thousand years, endured droughts and floods, watched millions of animals pass by, and still they stand guard, sentinels of that valley. Seeing the Limpopo River, which is usually nothing more than a wide sandy river bed dotted with a few stagnant puddles, now full and flowing from the abundant rains. Wading across the river was not nerve-wracking at all… we’d been assured that crocs aren’t so keen on shins, they prefer whole bodies. Hah, right! Making our way along the edge of the riverine forest as a huge herd of wildebeest galloped across the open veld to our right. 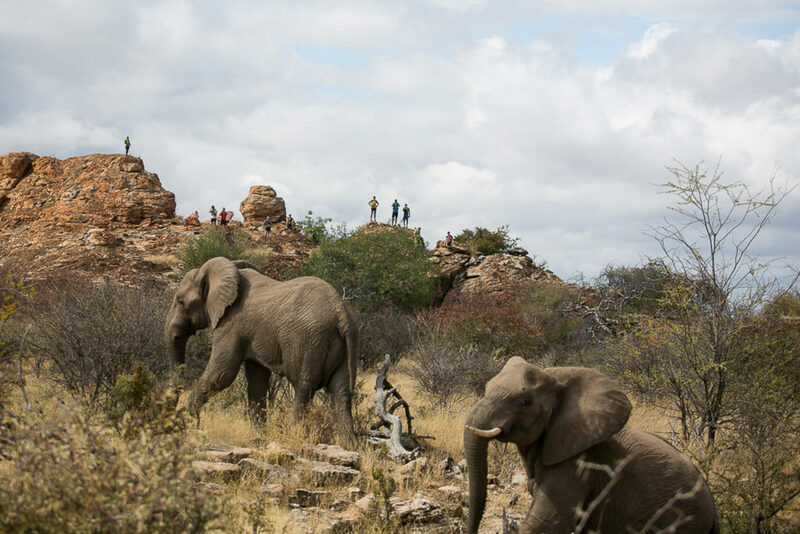 Watching from a koppie as a herd of about 15 elephants gradually made their way along their trail – one that’s probably been trodden by ancestors of those same elephants for millenia. Enjoying the bountiful meals cooked over open fires by the wonderful women from the local Maramani community, under the guidance of the ever-energetic Marion. Steaming stews, freshly baked bread, pestos, cheeses, locally-grown salads and herbs – our food was hearty and delicious, perfect for post-run refuelling. 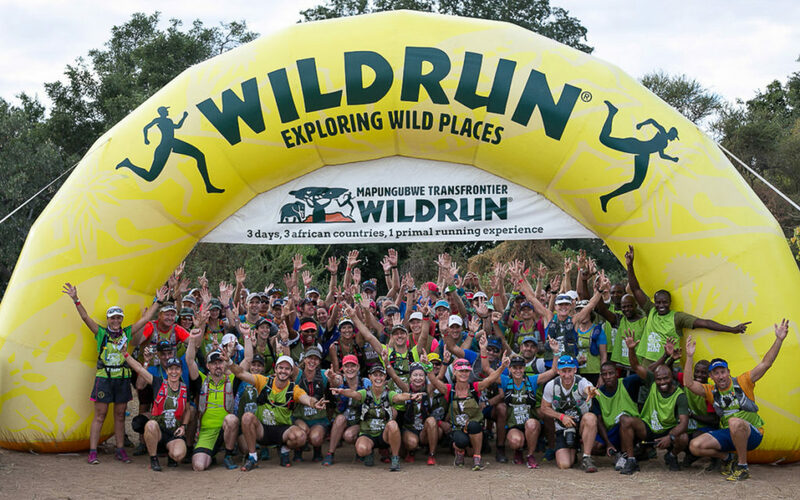 I can write on and on for hours about the Mapungubwe Transfrontier Wildrun experience, but I fear I’ve already overstepped the so-called ideal word count that a blog post should be. This run is exceptional for so many reasons, and while my heart is still hesitant to shout out about it, my head knows that special experiences like these should be shared, particularly amongst those who’ll best appreciate them. After reading your post earlier this year and seeing your and another of my friend’s photos who also ran it, I decided to enter. I am soooooooooo excited! You’ll love this one. It’s a brilliant way to experience such a special part of the world that is Mapungubwe.